Happy weekend, everyone, and welcome back to 3-Ingredient Happy Hour, the weekly drink column featuring super simple yet delicious libations. Valentine's Day will be here soon but, rather than make a bubbly, rose-scented cocktail, I've decided to enlist the sinister blood orange for a less twee take on the holiday. 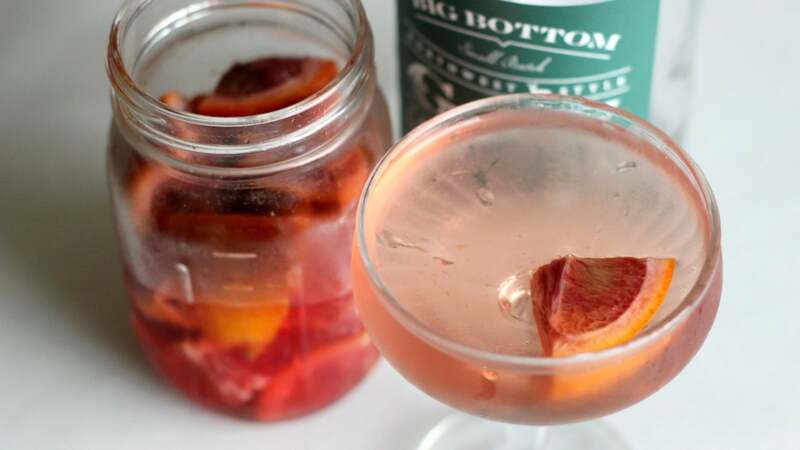 Chop the blood orange into wedges, throw it in a jar, and cover it with vermouth. From there, you can either let it infuse for a few days at room temperature (it turns pink when it's ready to drink) or use a sous vide setup and let it hang out in 85C bath for an hour before chilling it overnight in the fridge. Once you've made your infusion, add 60mL of the bloody vermouth to a stirring glass, along with 60mL of your favourite gin. Add ice, stir to chill, and strain into a coupe glass. Garnish with one of those boozy citrus slices, and either drink to or against love, depending on how you're feeling.